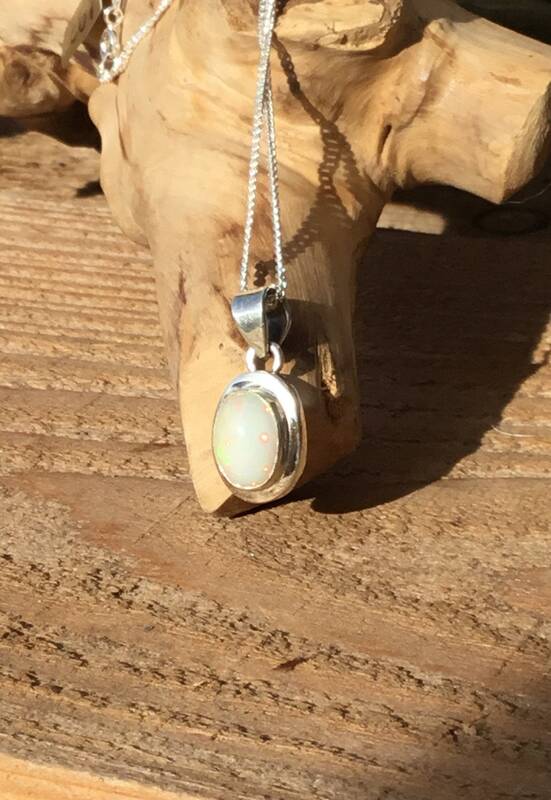 Ethiopian Fire Opals Are Very Bright, With Some Magnificent Colours, With Red Being Prominent. 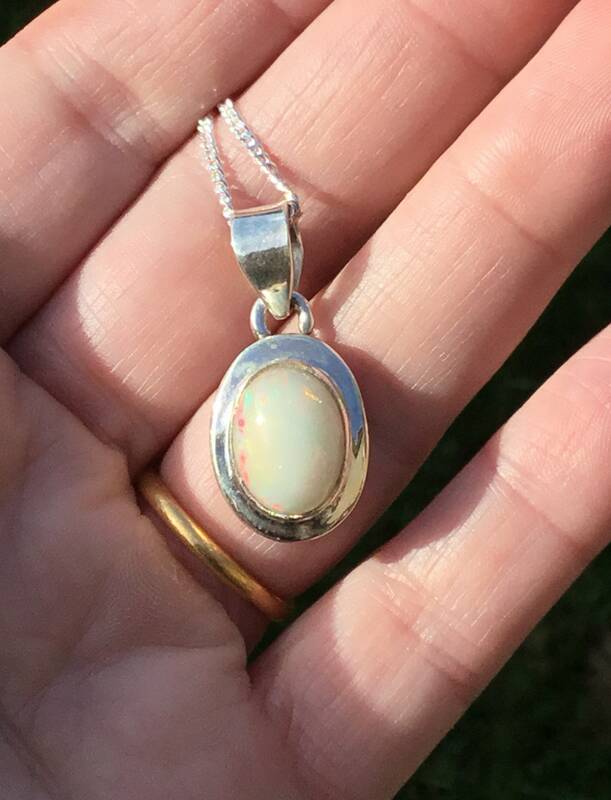 Complimented With a Wider Bail and Finished in a High Polish. 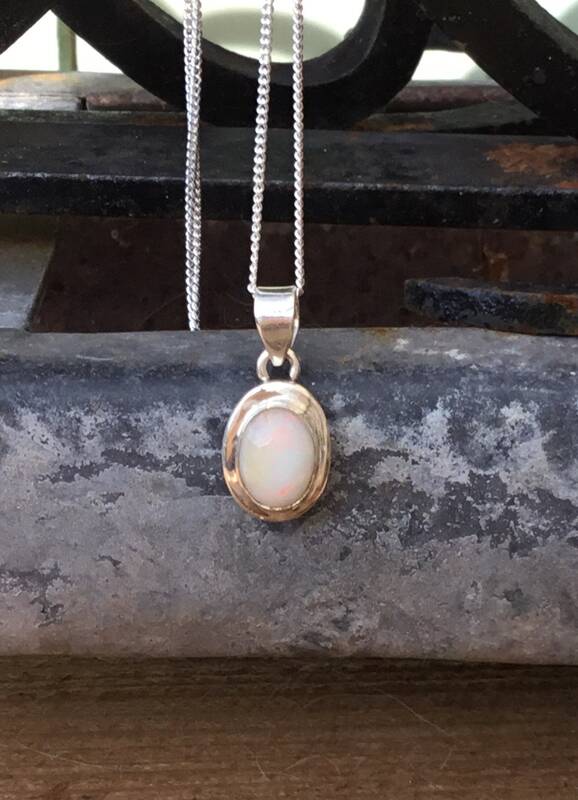 A Sixteen Inch Sterling Silver Curb Chain Is Included, This Can Be Changed For an 18” or 20”. 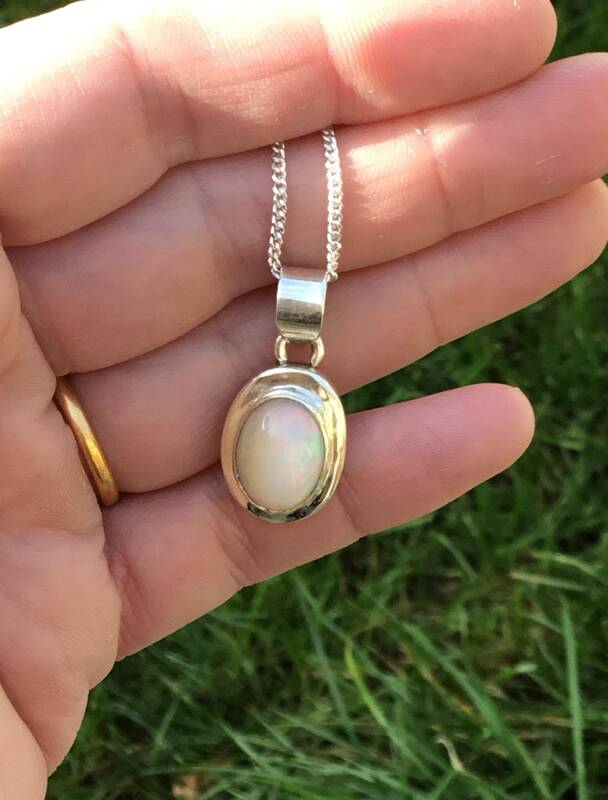 This Setting Inclusive of Bail Measures 29 mm Long, 14 mm Wide and 9 mm in Depth. 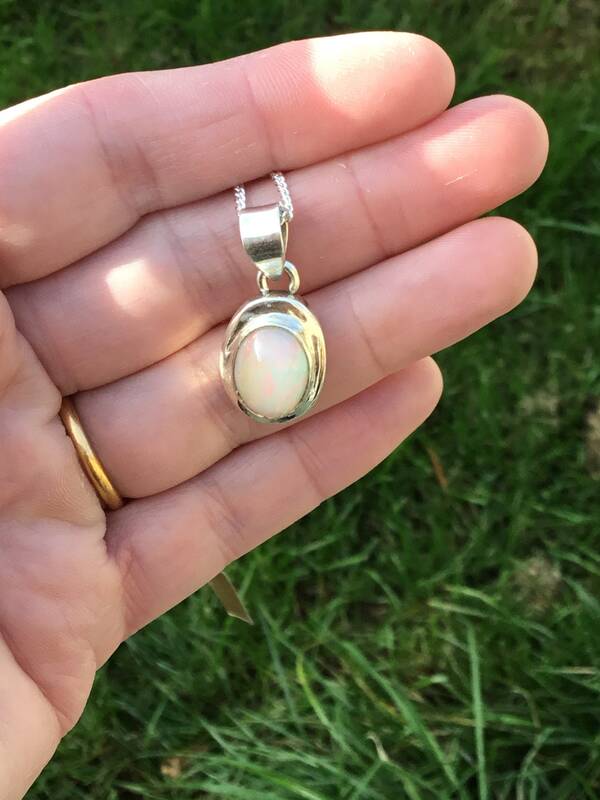 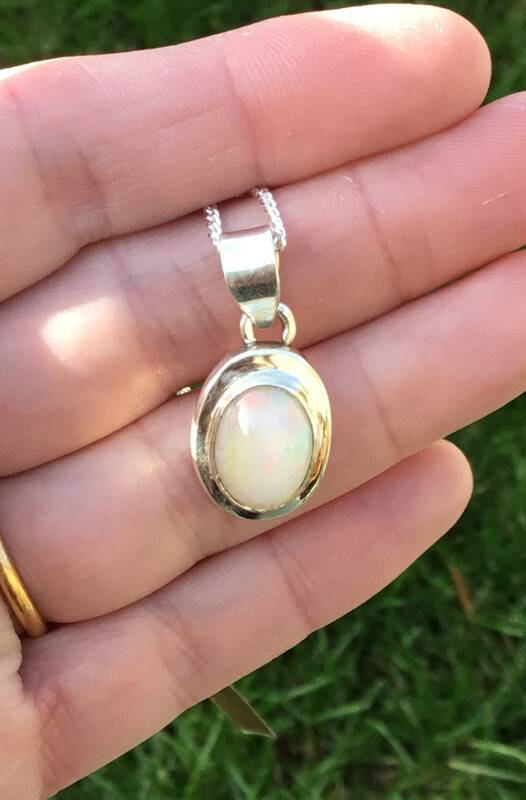 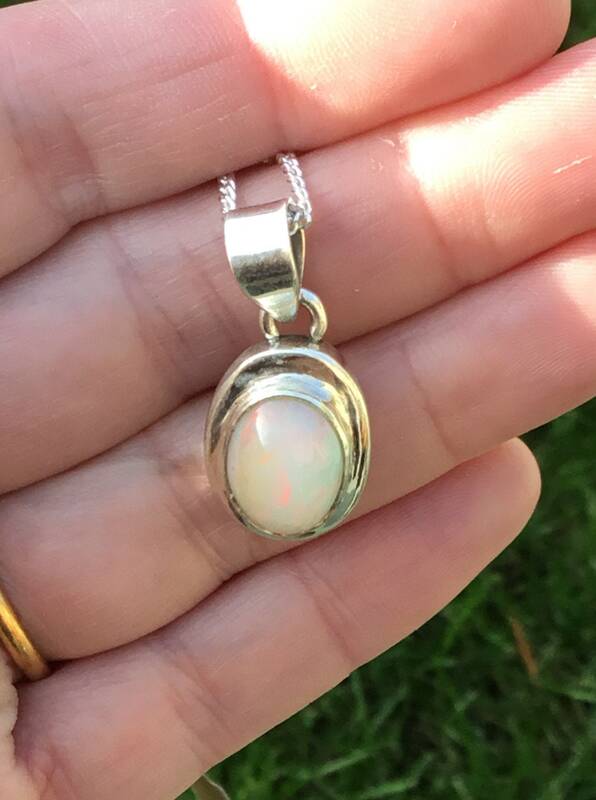 The Welo Opal Measures 14 mm Long x 10 mm Wide. 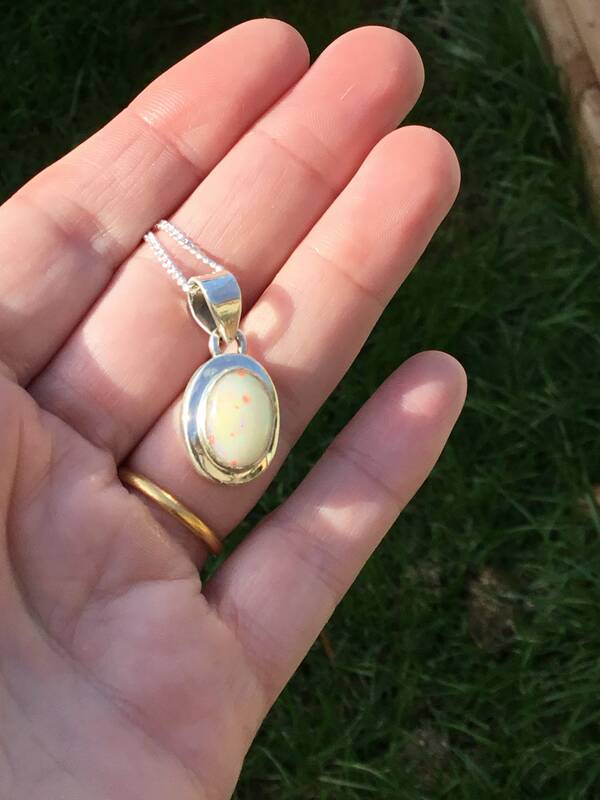 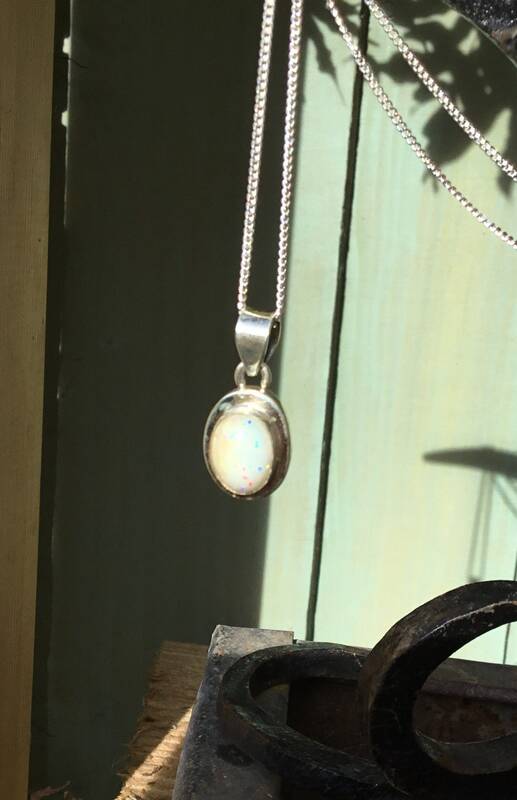 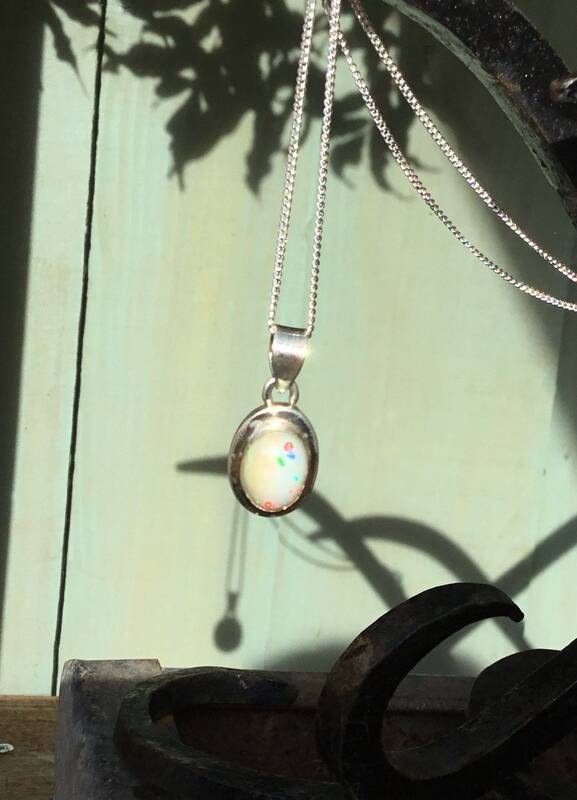 There’s Plenty of Fire Within This Lovely Opal, Colours Range From Red, Orange, Yellow, Greens and Blue.